New, improved bucket with easy-to-remove lid contains Bullseye's popular formula. Each batch is kiln-tested to insure consistency from run to run. Illustrated instructions discuss application, drying, mixing, precautions and storage. One 5-lb bucket will coat about 150, 20" x 20" shelves. Applied to fused glass projects prior to firing to prevent devitrification. Can also be used to reverse devitrification. Super Spray will not discolor reds, oranges or other sensitive tones. Safe to use on dichroic or iridized glass too. 99% lead free. Instructions: Spray or brush a liberal uniform application onto exposed pieces of glass before firing. Fire to 1300-1700 F for a glossy, glass like shine. High Fire up to 2300 degrees. Fiber felt or also called 1/8" fiber paper. 6" x 24" or 12" x 12"
Fibre Board is compressed fibre stiffened with a binder. The binder burns off on the first firing and the board loses some strength. To make the board strong enough to withstand multiple firings, coat fibre board with Fiber Mold Hardener and fire to 1200°. Often used as a a mold making material. Holes can be cut to make custom drop through molds; Can be used as a kiln shelf; Used as insulating material in Kilns and Furnaces. Used to harden fiber mold constructions. 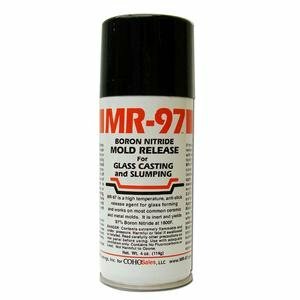 Easy to apply and sand to a smooth finish. 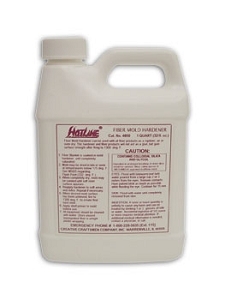 Fiber mold hardener can be used with all fiber products as a rigidizer; air or oven dry. Hardener with fiber products will not act as a glue, but gain surface strength after firing to 1300 deg. F. 1 quart. 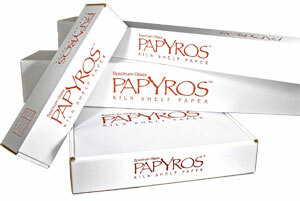 This revolutionary product makes it simple to remove kiln wash from the back of fused glass projects. The low odor liquid cuts scrubbing time, producing a sparkling clean project with minimal effort. 8 ounce bottle includes instructions for best results. 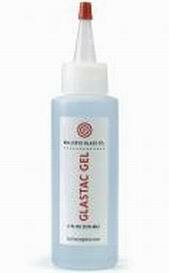 Meet the new go-to holding agent: GlasTac Gel. This thicker version of our regular GlasTac has a tackier feel but still burns out cleanly. Holds its applied shape well (you can also apply it with a paintbrush) Makes calligraphic powder lines easy Stays sticky longer (more working time before it dries) Tacks sheet to sheet with great holding power so you can move projects sooner. Fiber felt or also called 1/16" fiber paper. Very easy to apply, Releases quickly & cleanly.